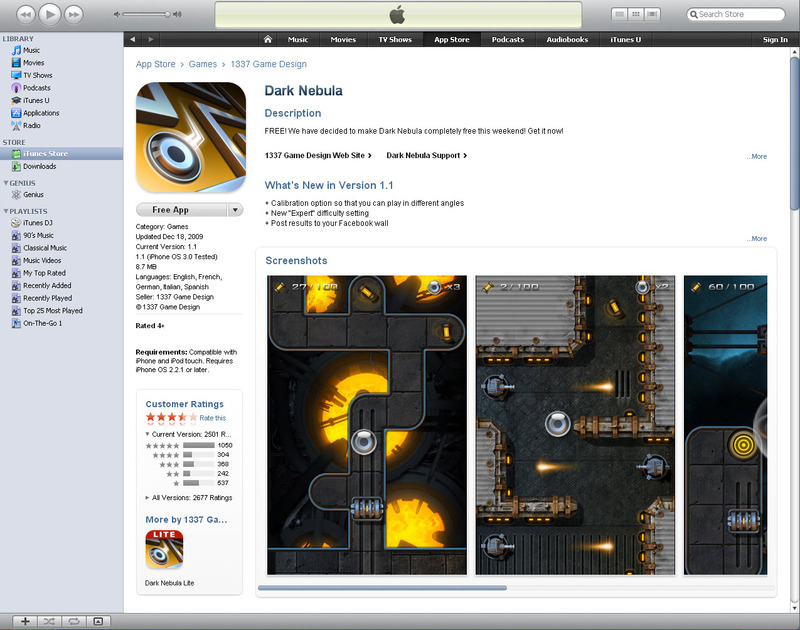 Ok, so you just bought an iPod or an iPhone. The first thing you would want to do is install games and applications. 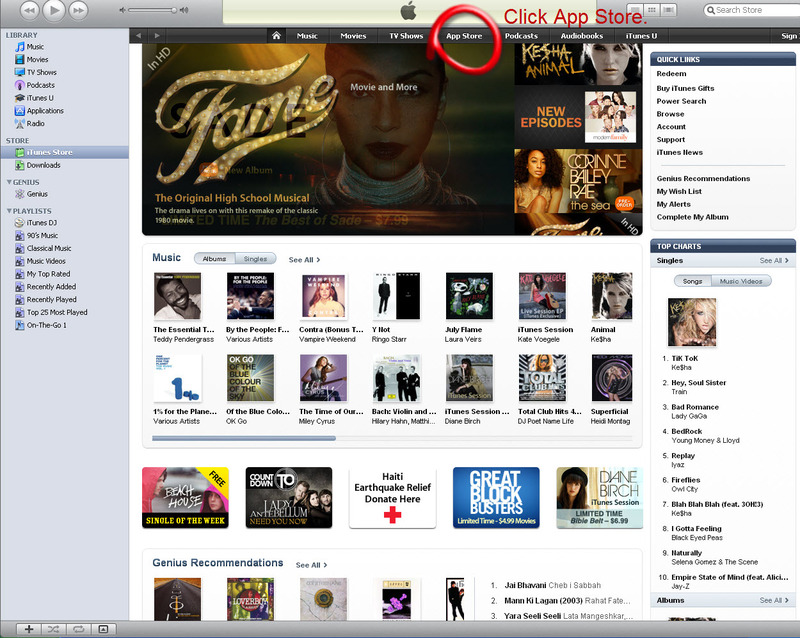 For that you need an iTunes account. 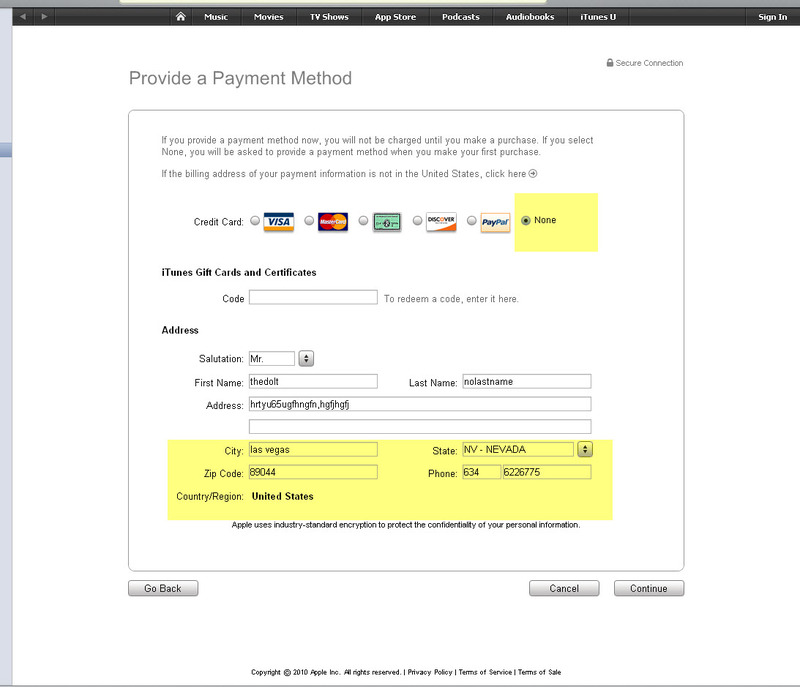 To make an account on iTunes you require a Credit Card. I personally don’t have one, and I wouldn’t want to borrow one (who would give one, anyway? ).So how do you bypass this? 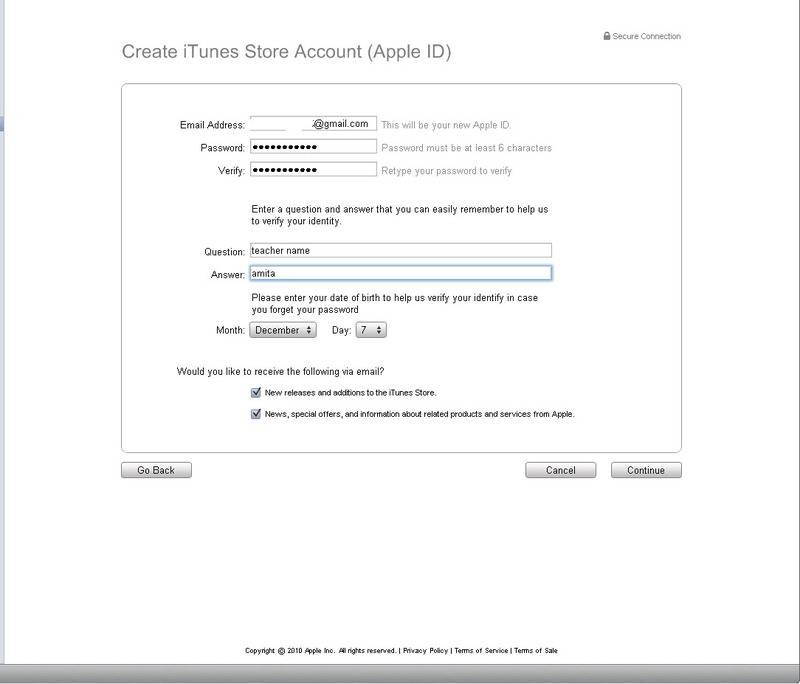 In simple language, How can one make an iTunes/App store account without a credit card? This post will tell you exactly that. Even if you have limited knowledge of computer, you won’t have a problem in understanding this guide. What you require: A computer with an internet connection and iTunes 9.In case you don’t have the latter you can download it from here. I cannot help if you don’t have the former…. A note before I start this guide: Do exactly as told, I know you have immense knowledge of computers, but please taking one step wrong or skipping a step will result in iTunes asking you for a credit card, which surely you don’t want to see happening. 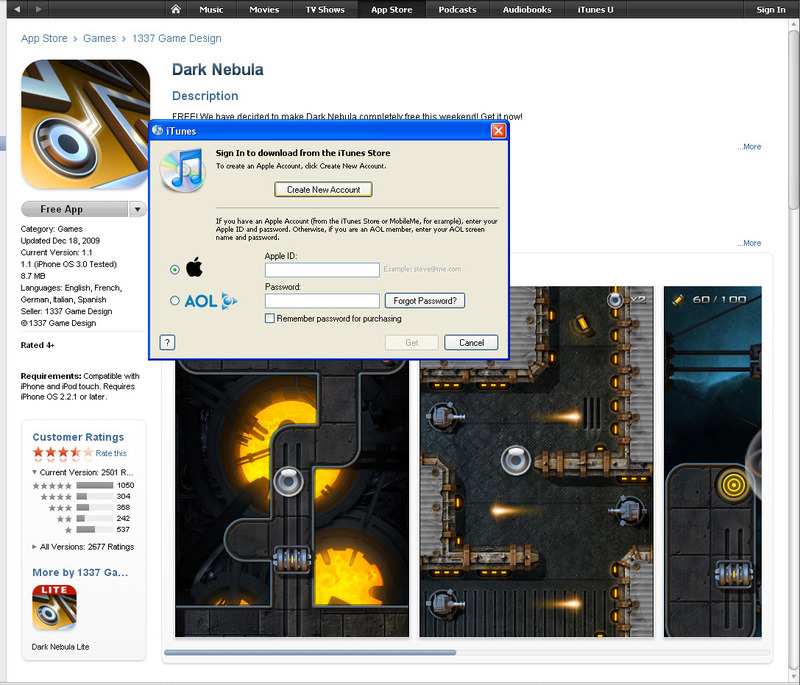 Click continue to move to the next step to create your iTunes App Store account. Step #7 You will now be redirected to a form. Fill it correctly especially the E-mail id. 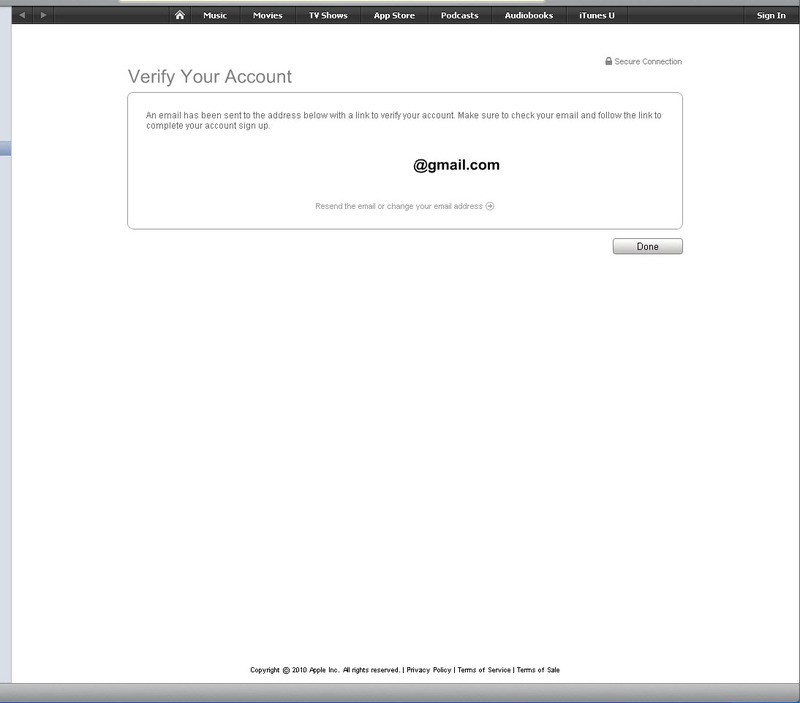 'd recommend to fill Everything correct in the iTunes App Store sign up form especially the E-mail address because Apple will dispatch a verification message to this id. Step #8 Refer to picture to see how it should look. 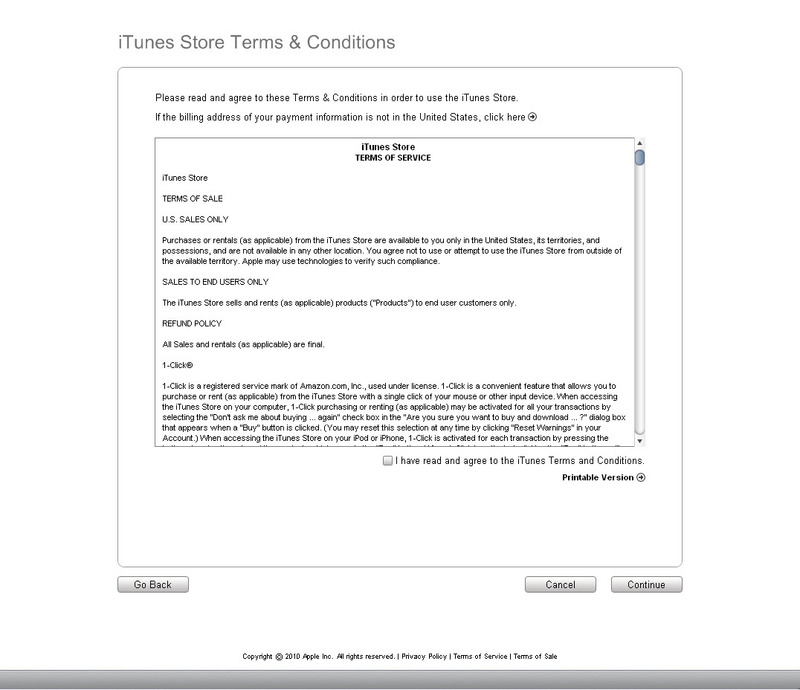 his is how you fill the iTunes App Store form. Step #9 Ok, here is the confusing bit and the best bit. As you can see, in the credit card line There is an option of NONE !!!!! Choose it!! If you did not choose US earlier, you can choose it again now. Do it, if you haven’t. Address: Your address (you may write anything. It will accept. 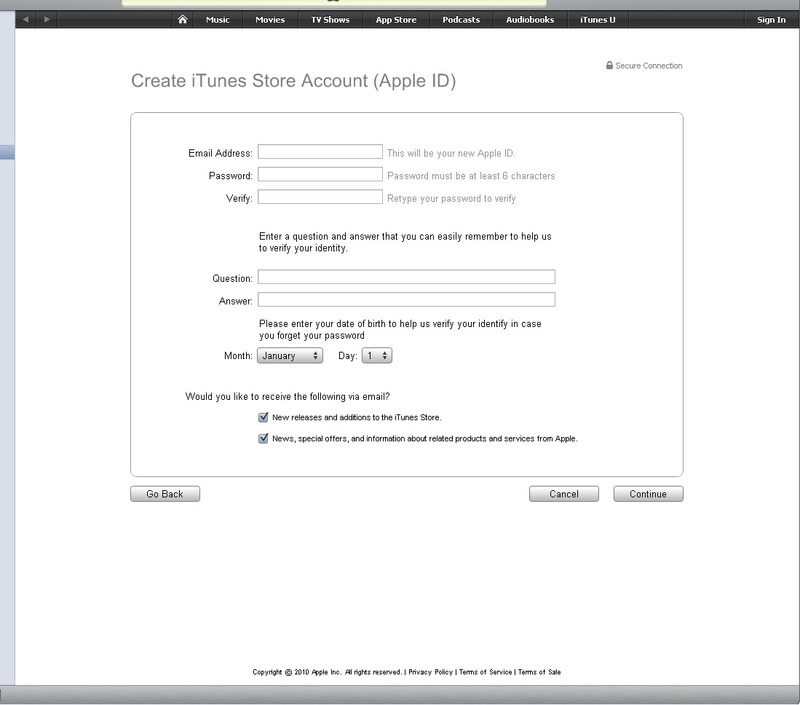 You’ve just created an iTunes/App Store account without a credit card. The post which should have been the first…. I'm still not able to registerd because after following the mentioned steps where in 9 step its not showing "NONE" option to select, I'm living in UAE as i'm getting only three credit card option as "VISA, MATER & AMEX". Kindly put feedback & comments to help me for to complete iTune Registraion. Your's Quick Attenion Will Be Highly Appreicated. But finally I got ur this topic with such easy and accurate steps…. Thanks a ton my dear from my heart…. For any people with a mooring located in Melbourne St kilda I will keep an eye on them and post anything I see here. This is the view I get so if your boat is visible in the picture below consider adding it to this site. there is no "none" option for me…. 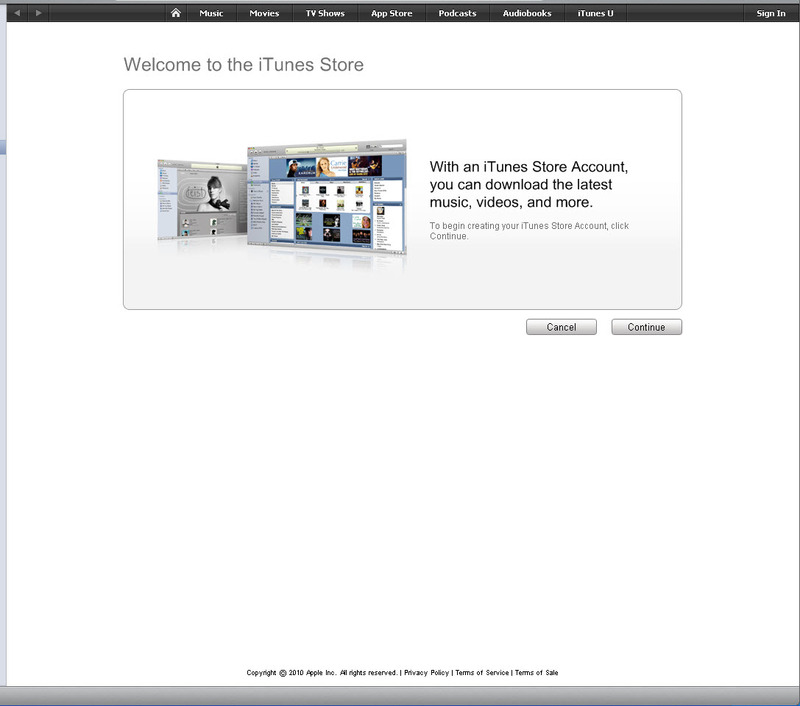 Will iTunes 10 be able to do this? Does this work with iTunes 10? Thank god i found it finaly! Been searching for weeks! finally made an account! Good post. 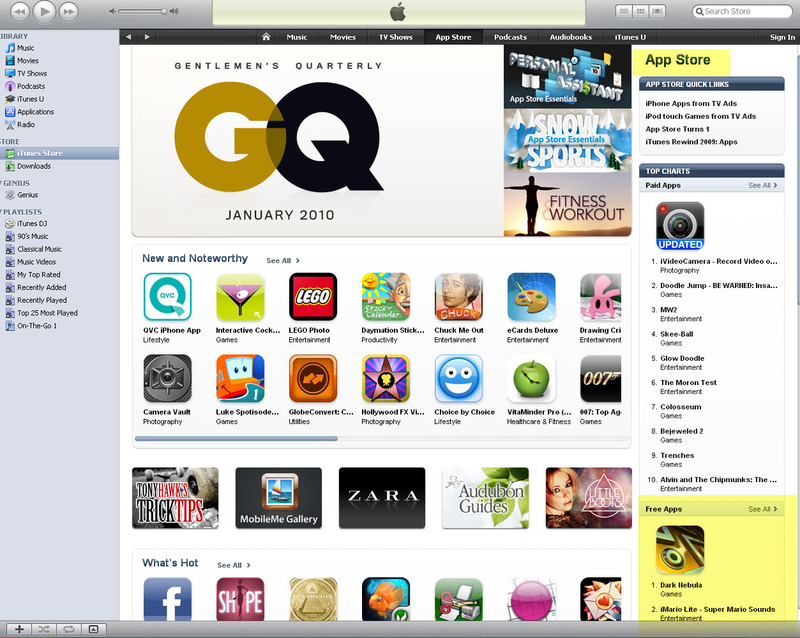 I was writing one too, before the iPod Touch (and thus, apps) came, using a free coupon code. Here's a tip. I feel it is better to post the pictures just below the indicated step, instead of publishing the gallery. "I feel it is better to post the pictures just below the indicated step, instead of publishing the gallery." I totally agree with you.But somehow,I was not able to do that.Once a picture failed,to load.other time I couldn't insert it into the post.So,I thouht I'll manage with the gallery for now and update the post when I get the hang of it. And, er, uhm. Can you tell me about overclocking? I have no clue how to do it. and in 2nd step u hve written 'reher' instead of 'refer'…. Thanks for poiting that out.Error rectified. ab soch raha hoga galti ho gayee to theek sala comment kyu likh raha hai?????? I don't have a problem with you telling that to people. But why exactly do want to do that?